Here’s what’s happening in the world of television for Tuesday, April 24. All times are Eastern. 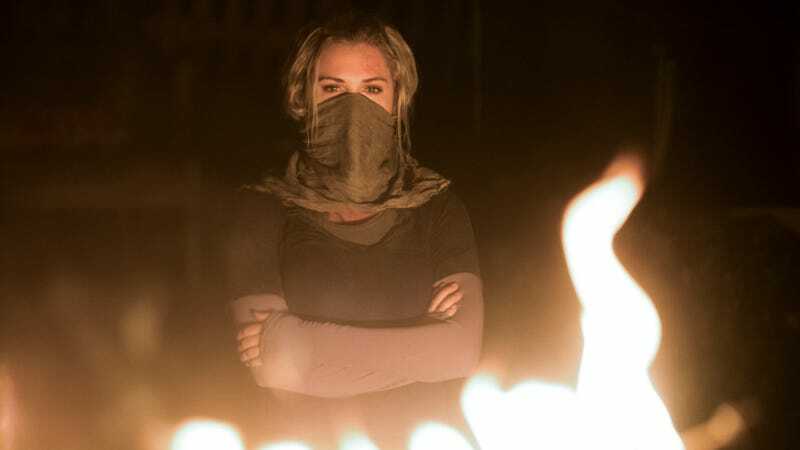 The 100 (The CW, 9 p.m.): Season five of this winning postapocalyptic drama picks up right where season four left off, with Clarke (Eliza Taylor) in a barren wasteland after her self-sacrifice in the previous finale. But in tonight’s premiere, “Eden,” Clarke is anything but defeated—and, judging by the trailer for season five, she won’t be alone for long. A battle for the few resources left on the planet is in the offing, with shades of Mad Max: Fury Road for good measure. As usual, Kyle Fowle will be reporting from the front lines. Genius: Picasso (NatGeo, 9 p.m.): The second season of Ron Howard and Brian Grazer’s “genius-at-work-and-play” anthology series centers on Pablo Diego José Francisco De Paula Juan Nepomuceno María De Los Remedios Cipriano De La Santísima Trinidad Ruiz YPicasso—or, as he’s better known, Pablo Picasso. Antonio Banderas finally takes on the role of his lifetime as the prolific (and problematic) artist, who co-founded the Cubist movement. Clémence Poésy, T.R. Knight, and Genius: Einstein alum Samantha Colley co-star.